For those who aren't the biggest fan of smoky food, try using Oak Flavored Pellets. 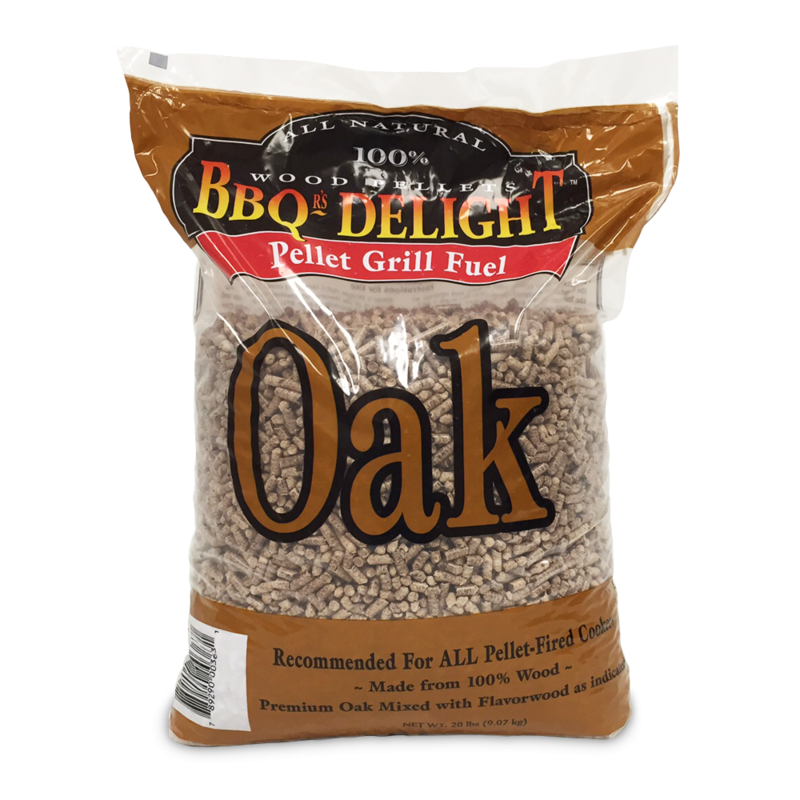 BBQr's Delight Oak Pellets produce a mild smoke with no after-taste, and gives food a wonderful smoked color. Made from 100% oakwood sawdust, these BBQ pellets make a super-clean smoke with very mild flavor. There's no need to worry about the smoke flavor being too strong with BBQr's Delight Oak Pellets everything will be OAK-KAY. Comes with (2) 20lb bags making a total of 40lbs. Pro tip: Order $75+ worth of pellets, rubs, fuels, and accessories and receive FREE standard shipping within the continental U.S.